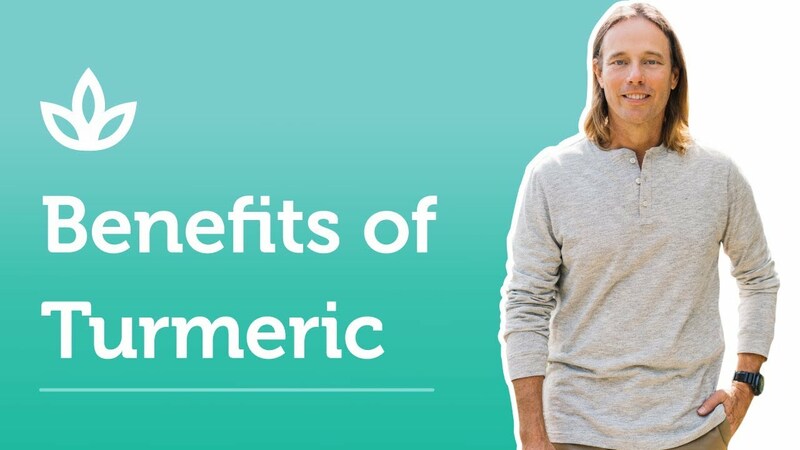 For all its miraculous health benefits, turmeric does have one weakness. The golden spice has very low bioavailability. This means that your body can only use a very small portion of the turmeric you consume. As the absorption levels of curcumin are very low, your body cannot harness the full healing properties of the spice. Fortunately, there is a simple way to enhance bioavailability. Just add black pepper to unlock the full potential of turmeric. Black pepper (Piper nigrum) is one of the most commonly consumed spices on the planet. In many parts of the world, you can find it on nearly every dinner table, right next to the salt. 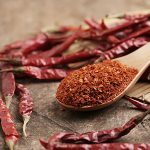 It’s usually just called "pepper," but it also bears the nicknames “black gold” and “the king of spices." It has a phenomenally long shelf life. Properly stored, black pepper can maintain its taste and aroma for many years. Black pepper also has many health benefits of its own. It’s been used to relieve nausea, headaches, poor digestion, and sore throats. Much like how turmeric owes its healthy properties to curcumin, black pepper gets both its health benefits and its pungent flavor from a natural alkaloid compound called piperine. Taking turmeric with black pepper may boost its bioavailability up to an astonishing 2000%. This is because piperine acts as an excellent bio-enhancer. Put simply, it can improve the bioavailability of other substances in the body. The serving needed is quite small. You only need a pinch of pepper to enhance the absorption of turmeric. When you consume a nutrient, your digestive system can only absorb a certain portion of it. 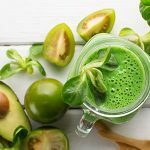 The proportion of a nutrient that your body can digest, absorb, and utilize is its bioavailability. For example, the bioavailability of protein is very high. Most people use over 90% of the protein they consume. After it moves through your digestive system, your body eliminates the rest as waste. For a nutrient to be absorbed into your body, it must pass through a membrane in your gut into your bloodstream. Large molecules have a more difficult time getting through this barrier. Piperine may help relax your intestinal membrane, allowing larger particles, like turmeric, to pass through. The effect of piperine on the liver may play another factor. As part of your normal metabolism, your liver releases a substance called UDP-glucuronic acid. In a process called glucuronidation, this acid bonds with other substances to make them more water-soluble, and thus more easily excreted. 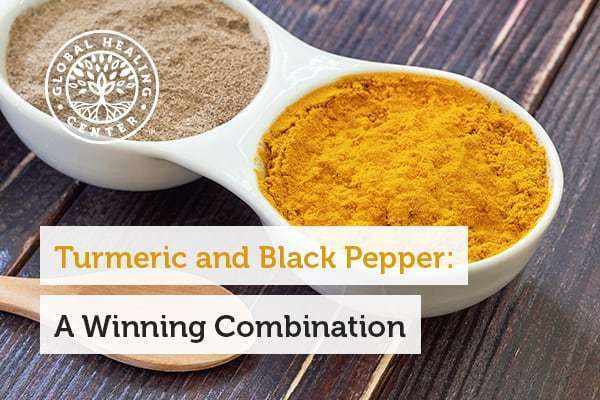 While turmeric and black pepper each have their own unique health properties, many of the properties are enhanced when you combine the two. Turmeric contains many compounds with antioxidant properties. Curcumin, in particular, is a potent antioxidant. In fact, it’s ten times more powerful than resveratrol, the much-hyped antioxidant in red wine. Piperine possesses its own antioxidant properties. Animal studies have found that piperine can reduce the oxidative stress brought on by a high-fat diet. By consuming pepper with turmeric regularly, you get double the antioxidant protection, helping you stay healthier, longer. Both turmeric and black pepper work to relieve temporary discomfort. Piperine desensitizes a pain receptor called TRPV1. Turmeric helps ease occasional joint discomfort. Put them together and you have surefire relief for stiffness and soreness. This is one of the reasons turmeric is so popular among athletes. Can I Absorb Turmeric Without Taking It With Black Pepper? Whole foods are always the best way to consume nutrients. When combining turmeric and black pepper, look to food sources such as curry. It may be a happy accident, or maybe the ancient peoples of India knew something we didn’t, but many recipes for curry happen to include turmeric and black pepper. You can also make a tasty tea from turmeric, black pepper, and other healing herbs like capsaicin. Simply mix these herbs into a high-fat liquid like almond milk and enjoy. While undoubtedly delicious, making curry every day could prove inconvenient. In these cases, you should consider a turmeric and black pepper supplement. Read the label carefully as many turmeric extracts neglect to include black pepper. You could add your own, but top quality blends will already include both. 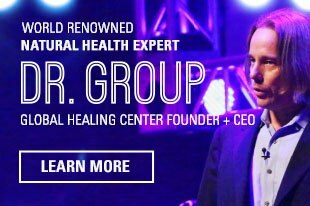 Global Healing Center’s Turmeric extract combines these wonderful spices into one convenient, potent, and highly bioavailable blend. Do you take turmeric with black pepper? How has it affected your life? Leave a comment below and share your insight with us. Prasad, Sahdeo, Amit K. Tyagi, and Bharat B. Aggarwal. "Recent Developments in Delivery, Bioavailability, Absorption and Metabolism of Curcumin: The Golden Pigment from Golden Spice." Cancer Research and Treatment : Official Journal of Korean Cancer Association 46.1 (2014): 2–18. PMC. Web. 28 Sept. 2017. Jawa, Ali, et al. 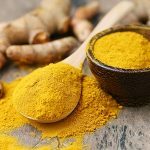 "Turmeric Use Is Associated with Reduced Goitrogenesis: Thyroid Disorder Prevalence in Pakistan (THYPAK) Study." Indian Journal of Endocrinology and Metabolism 19.3 (2015): 347–350. PMC. Web. 28 Sept. 2017. Parthasarathy, Villupanoor A., et al. "Chemistry of Spices." CABI, 2008. Print. Kesarwani, Kritika, and Rajiv Gupta. "Bioavailability Enhancers of Herbal Origin: An Overview." Asian Pacific Journal of Tropical Biomedicine 3.4 (2013): 253–266. PMC. Web. 28 Sept. 2017. Singh, J., et al. "Piperine-mediated inhibition of glucuronidation activity in isolated epithelial cells of the guinea-pig small intestine: evidence that piperine lowers the endogeneous UDP-glucuronic acid content." J Pharmacol Exp Ther. 236.2 (1986) 488-93. Web. 28 Sept. 2017. Lambert, JD., et al. "Piperine enhances the bioavailability of the tea polyphenol (-)-epigallocatechin-3-gallate in mice." J Nutr. 134.8 (2004) 1948-52. Braun, Lesley, and Marc Cohen. 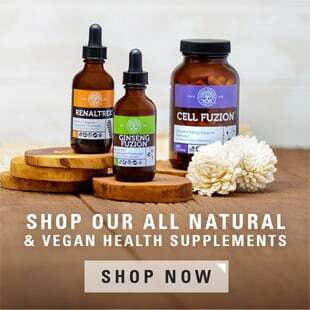 "Herbs and Natural Supplements: An Evidence-Based Guide: Volume 2." Australia, Churchill Livingstone, 21 Nov. 2014. Print. Chattopadhyay, Ishita, et al. 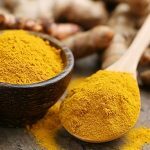 "Turmeric and Curcumin: Biological Actions and Medicinal Applications." Current Science 87.1 (2004): n.pag. Web. 28 Sept.. 2017. McNamara, Fergal N., Andrew Randall, and Martin J. Gunthorpe. "Effects of Piperine, the Pungent Component of Black Pepper, at the Human Vanilloid Receptor (TRPV1)." British Journal of Pharmacology 144.6 (2005): 781–790. PMC. Web. 28 Sept. 2017. Srinivasan, K. "Black pepper and its pungent principle-piperine: a review of diverse physiological effects." Crit Rev Food Sci Nutr. 47.8 (2004) 735-48.